Guzaarish directed by Sanjay Leela Bhansali and starring Hrithik Roshan and Aishwarya Rai in the lead is all set to release this Friday. 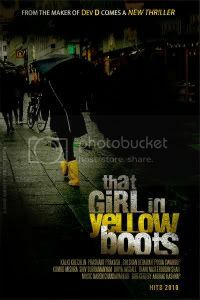 We bring to you the first review of the movie published online by Taran Adarsh. Guzaarish has been given 4 stars out of 5. But before making a judgment we should wait and see what other reputed reviewers have to say about the movie. Hrithik and Aishwarya are seen in a lackluster facade and that’s what makes the characters so plausible. While Hrithik is seen sporting a beard and has even put on weight, Aishwarya is seen in sober outfits. 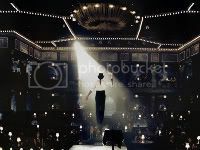 In fact, the two actors have gone through a drastic appearance change and both pressurize you to believe that they are indeed Ethan and Sofia. It must be said that Hrithik and Aishwarya exude a certain dignity and elegance, much needed for a sensitive film of this magnitude and caliber.It must have been an arduous task for Hrithik to carry off the Paraplegic character of Ethan Mascarenhas, but he depicts the part with flourish. It’s a great risk in filmy norms to have the hero of the film almost entirely on a wheel chair, but Hrithik has never hesitated or been irresolute in putting himself to adverse conditions, in order to achieve excellence, in whatever character he chooses to depict. Kudos to Hrithik for accepting a role that’s truly opposite to his larger-than-life image and portraying it with elan. On the whole, GUZAARISH is an invigorating tale. Bhansali, as a film-maker, has scaled several notches above his past accomplishments to create a near-perfect cinematic experience. The highpoint of the motion picture is the magnificently penned story of an incapacitated and debilitated man who desires to end his being with dignity. The film seduces the viewer with a strong emotional quotient, soulful music and of course, the crackling and wonderful onscreen chemistry between Hrithik and Aishwarya. Without doubt, GUZAARISH is one of the most profound, insightful and enriching dramas of the year. 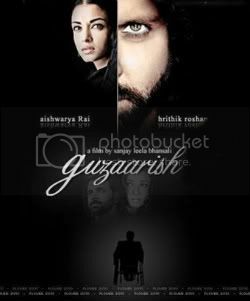 Share Film Review : Guzaarish Movie Review with your friends on Facebook.